Response to: The Rise of the Anti-Diet Movement: Is it No Longer P.C. to Want to Lose Weight? Someone I follow on twitter recently shared this blog post: The Rise of the Anti-Diet Movement: Is it No Longer P.C. to Want to Lose Weight? by another dietitian, Janet Helm. In the post she mused about dietitians promoting themselves as “non-diet” and what this might say about other dietitians. She agreed with many points made by dietitians, quoted in RD/writer Cara Rosenbloom’s recent excellent piece for the Washington Post about non-diet dietitians, but seemed unwilling to go so far as to embrace the philosophy herself. She ended her post with the following questions: “Can’t we all get along? Can’t intuitive eating and body positivity coexist with losing weight? Why must we line up on two sides? Why the conflict?” I’m going to do my best to respond to these questions. First, I too have asked that same question: “Can’t we all get along?” at times. Remember craisingate? Personally, I don’t think that as dietitians we have to agree on everything. It’s okay for us to have different perspectives and approaches. Also, in the case of diet vs non-diet, I don’t see it as an issue of getting along. Maybe I’m blissfully unaware, but I haven’t seen any “non-diet” dietitians attacking other dietitians for promoting weight management. I don’t see dietitians referring to themselves as “non-diet” as lining up on an opposing side or creating conflict. Rather, I see this identification as a way for dietitians to let prospective clients know that they do not promote weight loss as a goal. In a profession which so many believe our sole mission is to help people lose weight I think that it’s necessary for RDs who do not promote weight loss diets to make this clear up-front. I don’t believe the intent is to pass judgement on other dietitians who haven’t embraced the same approach, or to create a professional divide. However, I can see how a dietitian who has built a career around weight management counselling might see this new-ish movement as a personal judgement. My friend Cheryl Strachan, aka “Sweet Spot RD” wrote an excellent blog post last week (while I was mulling over how best to respond to Janet’s post): Why I can’t help you lose weight. This heartfelt post explained why she would no longer work with clients on weight loss. Providing the current evidence on weight loss and health and the struggle she went through to reach this position. Rather than having me regurgitate all of the evidence here, I recommend you take a few minutes to go read it and then come back. Done? Okay, great. So you’ll note that Cheryl mentions that when she studied nutrition in 2003 it was accepted without question that weight management was a significant part of being a dietitian. I can tell you that it was the same when I went back to uni to study nutrition in 2006. I’m not sure if things have changed since then. I suspect that they haven’t, at least not completely. It takes time for institutions and society to change. As a dietitian who has worked in weight management in the past I too have struggled to fully embrace health at every size. I understand why a fellow dietitian would ask: Can’t intuitive eating and body positivity coexist with losing weight? It’s an incredibly tough question and the answer is nuanced and it may not be the same for everyone. I do believe that intuitive eating and body positivity can peacefully coexist with weight loss. However, I think that this can only be the case when weight loss is not the ultimate goal. For me, body positivity is appreciating your body as it currently exists and continuing to appreciate it if you gain weight or lose weight. It’s about treating yourself with respect and compassion and providing your body and mind with the nourishment they need. If you are doing these things with the clandestine goal of losing weight then you are doing yourself a disservice. That being said, it’s okay to want to lose weight. We live in a society that has conditioned us from a very young age to believe that being thin is important. It’s unrealistic to except this engrained belief to vanish overnight. It takes time to relearn to listen to your body and to treat it with respect when you’ve been viewing it as the enemy, a captor, keeping the real you the thin you hidden away. So, no, body positivity and weight loss can’t coexist but yes, body positivity and weight loss can coexist. I think that as time goes on and nutrition programs update their curriculums, as old-school dietitians are more exposed to evidence regarding the harms of weight bias and weight loss diets, and the hold-outs retire, that things will change. After all, as dietitians we are supposed to provide evidence-based best practice and the evidence against weight loss diets is mounting. Eventually there will be no non-diet dietitians because that will be the approach we all take. 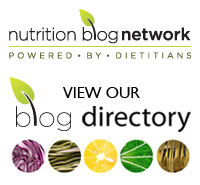 Tags: anti-diet, body acceptance, body positivity, Cheryl Strachan, dietitians, HAES, healthy eating, Janet Helm, non-diet, nutrition, nutrition unplugged, RDs, Sweet Spot RD, weight bias, weight loss, weight management, weight stigma | Permalink. Last week I attended the Ambition Nutrition Symposium in Toronto, to which I was fortunate enough to win free tickets. The theme of the conference was “bringing it home” and was intended to help translate nutrition theory into the kitchen and onto client’s plates. While I’m not sure the day really succeeded in that regard, I still found it to be an interesting conference with a variety of speakers and delicious food (thank you George Brown culinary students!). That being said, from my perspective, there was an elephant in the room. That elephant was the tension between professions and dietary dogma. We started the day with a great presentation by Dr. Kelly Brownell, director of the World Food Policy Centre, among numerous other titles. He spoke about the difficulty we often face when addressing food-related issues through policy as something that benefits one area (e.g. nutrition) may cause unintended harm in another (e.g. agriculture). The goal of his new centre is to bring stakeholders from all the areas together to try to develop policies that will benefit all areas. As an aside, one thing I noticed about the list of stakeholders he shared was the lack of the public. As “end users” I think that it’s essential that the public (or specific groups from the public such as those experiencing food insecurity) are involved in these discussions. We also had Saxena and chef Christine Cushing call out juicing and juice diets (while a new cold pressed juice company presented at one of the breakout sessions and provided samples during food breaks). Cushing mocked the caveman diet and then we had a snack break with “paleo” brownies. Saxena belittled meal kits and our swag bags contained a coupon for Hello Fresh. Hello elephant. Follow-up Saxena’s fantastic presentation with a discussion with Dr. David Ludwig and his wife chef Dawn Ludwig to promote their new book “Always Delicious” which we all got a copy of in our swag bags. Full disclosure, I have been critical of Ludwig in the past. I tried to come into it with an open mind though, I really did but the elephant would not settle down. Despite their protestations that it was not a diet book, if it talks about weight loss, fat adaptation, is filled with testimonials (from readers who have lost weight), and has a prescriptive DIET with three phases, it’s a goddamn diet book. I’m not going to get into the science of his insulin hypothesis here because my point is not to critique his beliefs but if you want to read more about it I recommend this short article by Stephan Guyenet. I’m also not here to question the “success” people have had on Ludwig’s diet. If people are happier and healthier following this plan, I think that’s great. My issue is with the framing of this diet as the best way to eat for everyone and that the best way of eating is one that promotes weight loss. They talked about “NSVs” (non-scale victories) but the only examples I saw in the book and heard during the talk were a reduction in blood pressure and going down a pant size (which while technically not a weight loss “victory” is still a “victory” over an “unruly” body). For a day that was meant to promote health through food there was a whole lot of talk about The Obesity Problem which is really not the direction that we want to take if we want to encourage people to have healthy relationships with food and their kitchens. I encourage everyone to read this piece about one woman’s “life as a public health crisis”. If obesity is a “problem” then food is the enemy. That mindset does not lead to healthy attitudes and behaviours. You don’t need to “retrain” your fat cells, they are not disobedient puppies. Rather, we as a society need to retrain our attitudes toward our bodies and our food so that we can once again be friends with both. Tags: Alway Hungry, Always Delicious, Ambition Nutrition, body acceptance, Christine Cushing, diet, dietitians, Dr Ludwig, fat adaptation, HAES, health at every size, healthy eating, insulin, Kelly Brownell, Nishta Saxena, non-scale victories, nutrition, obesity, public health, RDs, Stephan Guyenet, weight loss | Permalink. Why do we care how much Trump weighs? I know that we all want to clutch onto every piece of evidence we find that Trump is a despicable human, hold them close, let them keep us warm at night, and build bomb shelters from them. I also know that society and popular media have taught us that “fat people” are the villains. That they are lazy and gluttonous and deserving of scorn. It’s incredibly difficult to set aside these biases, especially when we want to believe these things of a person, but that’s exactly what we need to do. Trump has given us ample reasons to believe that he is a garbage human. His objectification of and assaults on women, his racist comments and travel bans, his mockery of people with disabilities, his complete and utter lack of diplomacy, and on and on. His weight is not one of them. Weight does not reflect ones value as a human. This is true of you, of me, of your friends and family, of famous actresses, of poor people and rich people, and yes, even of Donald Trump. We don’t get to say that body acceptance is important and that weight is not indicative of health or personal worth for people that we like and then go around making a big deal about Trump’s weight. Sorry but not judging a person based on their weight should apply to everyone, even people we dislike. Tags: body acceptance, donald trump, fat, HAES, health at every size, obesity, overweight, weight bias | Permalink.